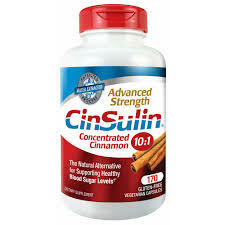 Bottom Line: CinSulin is for anyone interested in supporting a healthy blood sugar metabolism. Cinnamon has been used for ages and in many cultures for its health benefits. 2. History of the Brand: How Did CinSulin Start? 7. How Does CinSulin Work? 16. Would CinSulin Work with Your Diet? 17. Verdict: Would I Recommend CinSulin? Let’s talk about CinSulin. I wanted to learn more about the company behind it, the ingredients they use, and the science to support them. I also wanted to see what others had to say about their experience. If you’d like to try it for yourself, CinSulin can be purchased through Amazon or using their Official Site. CinSulin is a health supplement ingredient that harnesses the benefits of the cinnamon plant. Most people are familiar with cinnamon as a spice, which is the result of crushing the plant’s bark. Whole cinnamon contains water-soluble and fat-soluble compounds. Yet the water-soluble compounds are the ones that can be beneficial to our health. CinSulin is a cinnamon water-extract, thereby concentrating the wanted compounds and reducing and excluding the other, unwanted ones. The proprietary process for extracting the cinnamon concentrates the beneficial and active ingredients at over a 10:1 ratio compared to common cinnamon. CinSulin® is a registered trademark of BJTA Nutrition & Healthcare Prod. The background of this product and its makers seems hard to find. Because of that, I could not find any information on how and when CinSulin started. However, it is clear that the makers of CinSulin use a patented water extraction process. This process concentrates the beneficial compounds of the plant until it is 10x stronger than regular cinnamon. All three bottles contain 170 capsules, the first two having identical ingredients according to their supplemental fact sheet. These three ingredients are Cinsulin, chromium, and Vitamin D3. The third product contains a proprietary GlucoLite ™ Blend instead of Vitamin D. All three products are available in stores and online for a very reasonable price. CinSulin ® is a high-quality cinnamon-extract concentrate. However, it is combined with chromium and vitamin D3 or GlucoLite ™ Blend in order to create a supplement to support healthy weight and insulin levels. 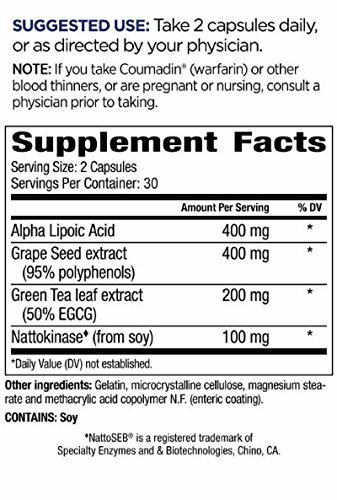 Besides being an ingredient in the three products listed on cinsulin.com, Cinsulin ® is also a listed ingredient in other supplements on the market, such as LifeExtension, sold by GNC. While CinSulin is a cinnamon-extract, it is not the same as the one in a container of spice used for cooking. Because it is a concentrate, it is 10x stronger. And because it is a water-extract, it contains less fat-soluble components. These could be problematic if consumed in high amounts. I was not able to find out where CinSulin is manufactured. CinSulin® is a registered trademark of BJTA Nutrition & Healthcare Prods. Co. under the US Patent license #6200569. CinSulin is an ingredient available in health supplements. It is for healthy adults who wish to support their normal weight and blood sugar levels as part of a healthy diet and exercise routine through the beneficiary compounds of the cinnamon plant. CinSulin is a concentrated cinnamon extract, and there is a long history of using cinnamon for its health benefits. Studies show that it can help stabilize healthy blood sugar levels, which in turn helps stabilize a healthy weight and energy level. CinSulin is an ingredient in other supplements, and works together with those ingredients as part of a healthy diet and lifestyle. For example, Advanced Strength CinSulin and Trunature: Advanced Strength CinSulin combine CinSulin with Vitamin D3 and Chromium for a supplement that helps the body’s sugar metabolism and promotes healthy glucose levels. There is no research study on CinSulin ® specifically. However, there is one study investigating an unnamed cinnamon extract capsule, which sounded very similar to our product. This study confirmed a decrease in blood sugar levels. As a health supplement, this is encouraging. In the end, only you can decide if it works for you. Cinsulin uses a patented water extraction process. This process results in a 10:1 concentrated cinnamon extract that contains the beneficial compounds in their bioactive form. And it does that while minimizing those fat-soluble compounds that might cause side effects if consumed in high doses. Research studies and consumer reviews confirm these benefits and report positive results. CinSulin comes in a neutral tasting capsule; therefore, taste is not an issue. There are no side effects listed on cinsulin.com. Consuming a lot of cinnamon over an extended period can cause side effects. These potential side effects are due to the fat-soluble compounds of cinnamon. CinSulin is different, because it is a concentrate of the water-soluble plant compounds. There are no product warnings listed on cinsulin.com. It is considered a safe and natural supplement. However, please notice that it is only for adults 18 years and older. Also, please always consult your health care provider before starting a new supplement. This is especially true if one is taking other medications and supplements that might affect blood sugar. I could not find lawsuits on CinSulin. On the other hand, some reviewers didn’t notice any difference. What stood out for me personally from reading those reviews is that nobody mentioned negative side effects, which is always of interest. 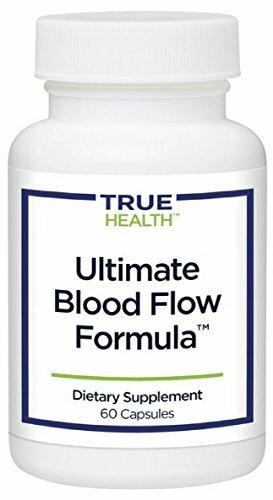 There is another product available that sounds very similar to CinSulin. Its name is Cinnulin. Both are a concentrated water extract of cinnamon and support a healthy blood sugar metabolism. The only difference I was able to find, is that Cinnulin is available as tablet, powder or liquid in addition to capsule form. Please check this website for more information on Cinnulin. CinSulin is a health supplement that can work with any balanced diet. It is gluten-free, vegetarian, kosher, and free of allergens. Because it is an ingredient in other supplements, please make sure to check the label of that particular supplement to see if it matches your personal dietary requirements. For more information, check Cinsulin’s FAQ here. After reviewing the research and product information together with reviews on Amazon, I would recommend CinSulin for anyone interested in supporting a healthy blood sugar metabolism. Moreover, CinSulin promises to reduce possible negative effects of cinnamon consumption and concentrate the positive compounds. As always, check with your health care provider before starting a new supplement regimen. This is especially important if one is taking other medications or supplements that might affect blood sugar. CinSulin can be purchased through Amazon or using their Official Site.